Scary Monsters magazine #99 - Christopher Lee Tribute! 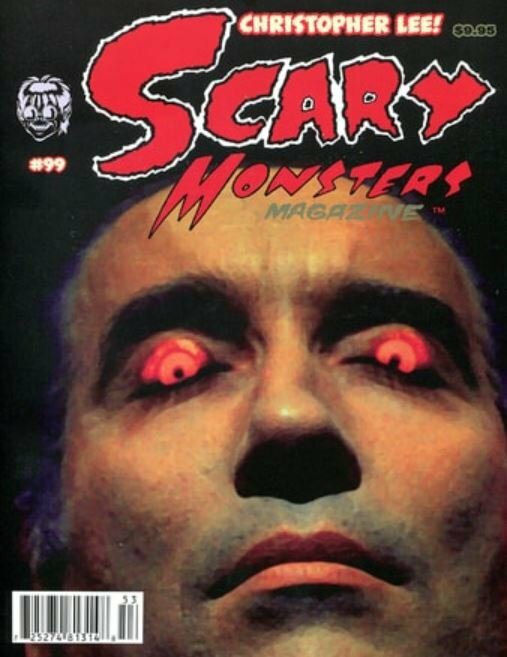 MyMovieMonsters.com > Scary Monsters Magazine > Scary Monsters 1-100 > Scary Monsters magazine #99 - Christopher Lee Tribute! The latest and gravest from Scary Monsters magazine. This is the October 2015 issue #99 celebrating Christopher Lee, with tribute cover art by Terry Beatty. Check out our article, "Monster Movies from Mammoth to Miniature: Part 1 of 2" starting on page 36! Full color cover and vintage B&W content. A whopping 148 pages including covers. If you missed the last issue, click on the handy Buy Both button below and you'll have a lot of scares in the days ahead!